Easy Salmon Recipes are perfect for fast, fabulous meals any night of the week! 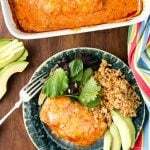 Sharing lots of delicious, fast cooking methods and recipes! It seems ‘eat more fish’ is something we are told constantly. Many people aren’t sure HOW to cook fish or if they even like it. I have a solution: Easy Salmon Recipes! Salmon can be prepared so many ways and they are all fast and easy. It’s great any night of the week, and being a more mild flavored fish, salmon is adaptable to multiple flavors. You’ll surely find at least a few new favorites in this collection of easy salmon recipes! Salmon, as with most fish, is very nutrient dense. 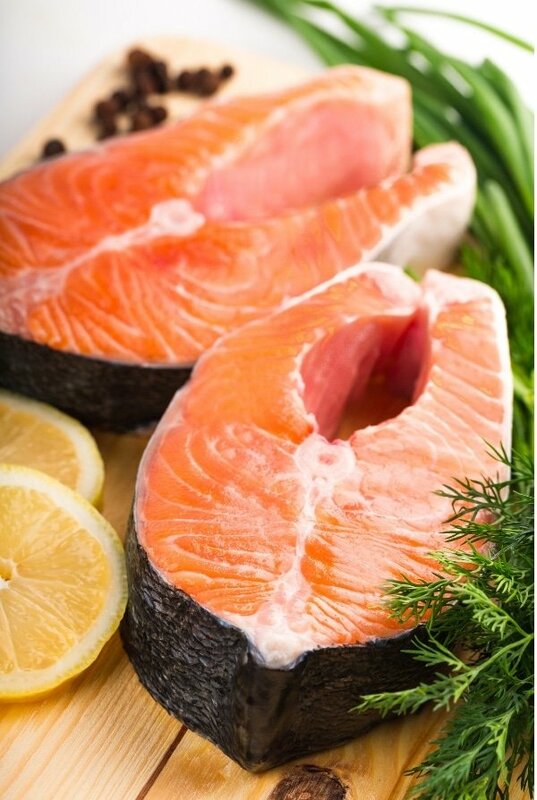 It is a great source of protein, vitamins and minerals as well as Omega-3 fatty acids. All of these nutrients are associated with positive effects on different aspects of health and wellness. 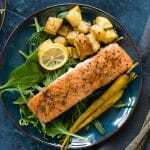 Salmon is a more desirable fish for many due to its meatier texture and pleasing flavor which is not ‘fishy’ in the same way stronger flavored fish can be. It can be prepared very quickly in multiple ways making it a perfect choice for easy salmon recipes. 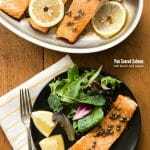 Before diving into the collection of easy salmon recipes, here are a few more helpful pieces of information about salmon. There are 7 types of salmon. Most are Pacific salmon species (in the United States) with one species of Atlantic salmon which has become extinct in the wild and is now virtually all farm-raised. 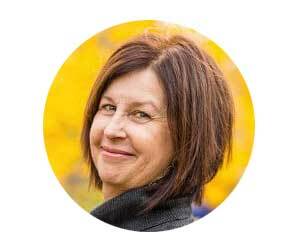 More than the species of salmon, most consumers are more aware of the wild vs farm-raised distinction. 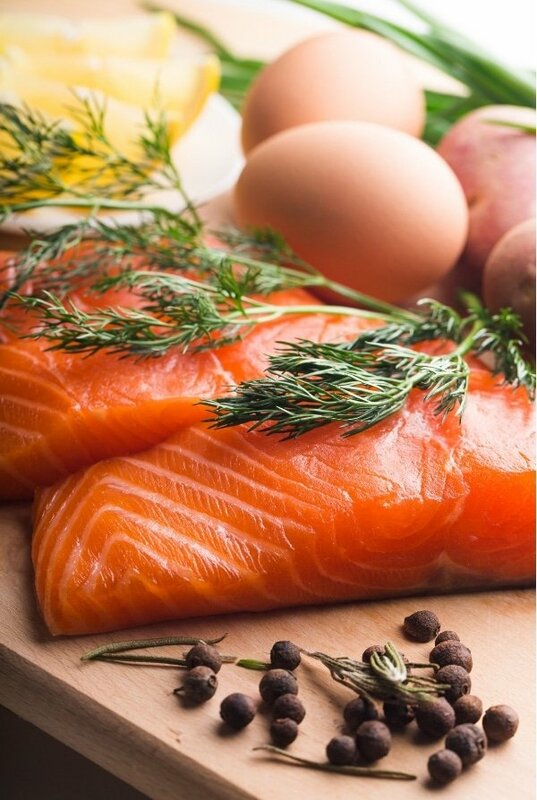 My suggestion is to always buy salmon at a quality seafood market or grocery store with knowledgeable fish mongers who can guide on the salmon options for your needs. There are two main cuts of salmon used in most easy salmon recipes: a fillet or a steak. The fillet is a side cut usually having skin on one side, few if any bones. 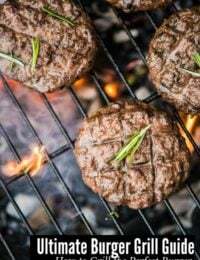 It can be cooked in a large fillet and sliced into smaller portions. Or individual fillets may be cooked and served directly. The steak is a cross-cut of the salmon that includes the backbone. It looks like horseshoe shape and serves one person. The skin covers the sides of the salmon steak. Larger bones in salmon extend from the backbone and are often removed before buying salmon at the store (unless buying a whole salmon). However, there can be ‘pin bones’ which are tiny bones that can remain in a cut of salmon. It’s always good to look for pin bones before cooking a piece of salmon or when eating it. 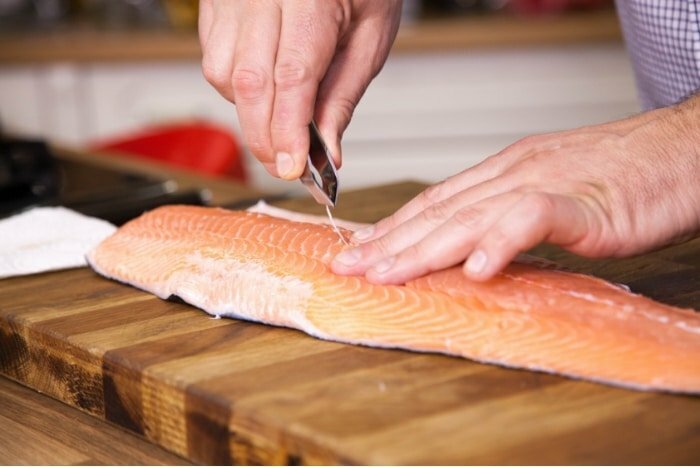 The best way to remove salmon bones at home is with a set of long nose pliers. I keep a dedicated pair of long nose pliers in my kitchen dedicated for food use only. Once locating a pin bone, grasp it with the needle nosed pliers and pull it out. Can Salmon Skin Be Eaten? Yes, salmon skin is considered safe to eat! 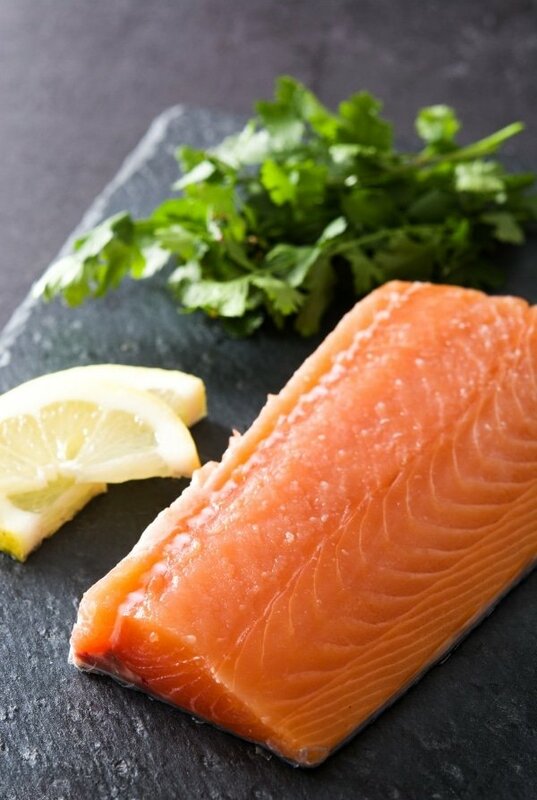 Salmon skin contains many of the same Omega-3 oils and nutrients as the salmon. It’s mild in flavor too. Salmon skin tastes best when it has been grilled, pan-seared or fried over steamed or baked (a method that does not crisp the skin). It’s also very easy to remove from cooked salmon should you prefer not to eat it. What is the Doneness Temperature of Salmon? Salmon is fully cooked at 145 degrees F according to the U.S.D.A.. The best way to determine this is with an Instant Read Thermometer inserted into the thickest part of the salmon, not touching the pan. I love cooking salmon in multiple ways. 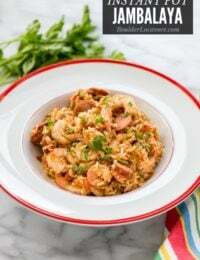 It’s flavorful, my whole family loves it, and it cooks very quickly making it perfect for a weeknight or weekend. Following are a number of ways to cook salmon with easy salmon recipes for each! Baking salmon is probably the most common way to cook salmon and the easiest. A quick brush of oil, a bit of salt and pepper and the salmon can be cooked in 12-15 minutes in a 425-degree oven. Adding a squeeze of lemon juice, sprinkling of herbs (dill is fantastic) changes up the flavor nicely. Salmon can also be brushed with a marinade, or marinated before cooking. This simple recipe is absolutely as delicious as it is pretty. The salmon marinates in the irresistible sweet, tangy marinade for only 20 minutes, starting just before the vegetables are put in the oven to begin roasting. After 15 minutes the salmon is added to the sheet pan for an additional 20 minutes. Grilling salmon is another great choice for easy salmon recipes. Being both a thicker fish and with more oil, it does not dry out like thinner fish. Do not overcook salmon as it still CAN dry out losing its delicious flavor. One of my favorite ways to grill salmon is on a cedar plank. 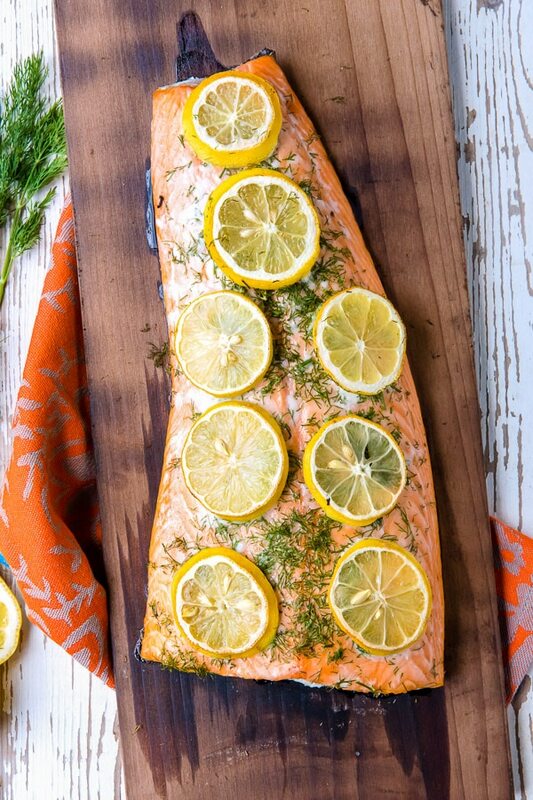 The plank infuses flavor and protects the salmon from the direct heat of the grill. I have a little tip too that doesn’t require the cedar plank to be soaked first! 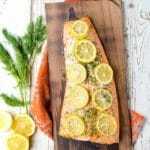 A simple grill recipe for salmon that produces a moist, flavorful salmon fillet thanks to charring a cedar plank before cooking. The need for soaking is eliminated cutting down on the prep time by a few hours. Charring the plank also lends a unique depth of flavor to the salmon. My secret is spraying the salmon through the grilling process with Pinot Grigio wine to add more flavor and encourage some additional steaming of the plank! 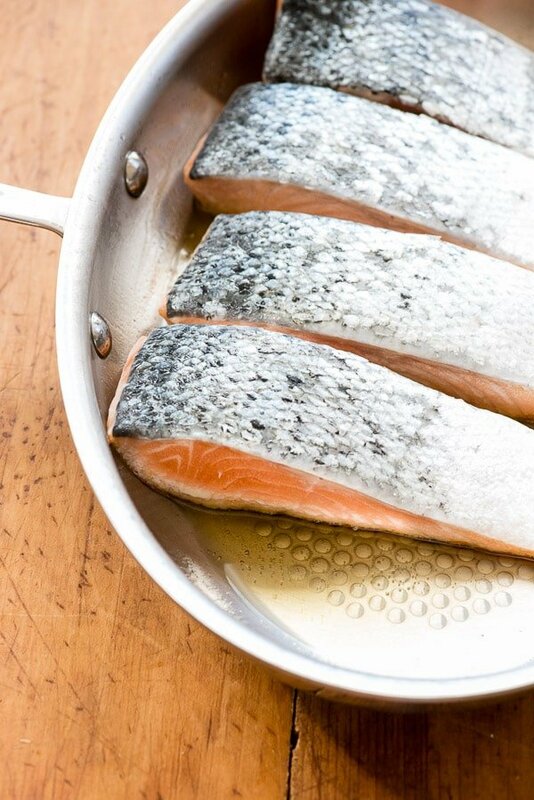 Pan searing salmon is cooking it in oil or butter in a skillet on the stove top. It’s another delicious 15-minute start-to-finish cooking method. The oil or butter add extra flavor along with any other ingredients adds. 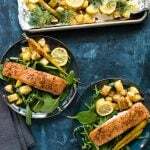 This easy pan-seared salmon recipe is ready in a flash and allows the flavor of the salmon to sing. The delicious sauce of butter, lemon and capers is the crowning glory of the 15 minute recipe! A signature recipe from the iconic Grand Canyon lodge El Tovar. 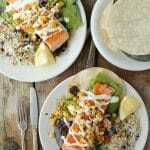 This recipe is several in one, all combining to make a simply mouth-watering dish of toasted corn tortillas, dressed organic greens topped with a salmon fillet, corn salsa, sour cream-lime with a side of Poblano Black Bean Rice.Don't let the recipe scare you. Though there are several components, each is very easy and not time consuming to prepare. The components will quickly give you ideas of where to use them in other dishes as well. The recipe is naturally gluten-free. Poaching is a popular way to prepare salmon and is usually a lean way to cook it. Poaching is a wet method of cooking the salmon in liquid. It can be water, wine, broth or a mixture. Poached salmon is a fast way to cook too. Steaming salmon is a great way to prepare it without extra oils or fats. It’s top on the easy salmon recipes list taking under 10 minutes to cook. Steam the salmon with fresh herbs, wine, or broth (or a combination) for the steaming broth for even better flavor. 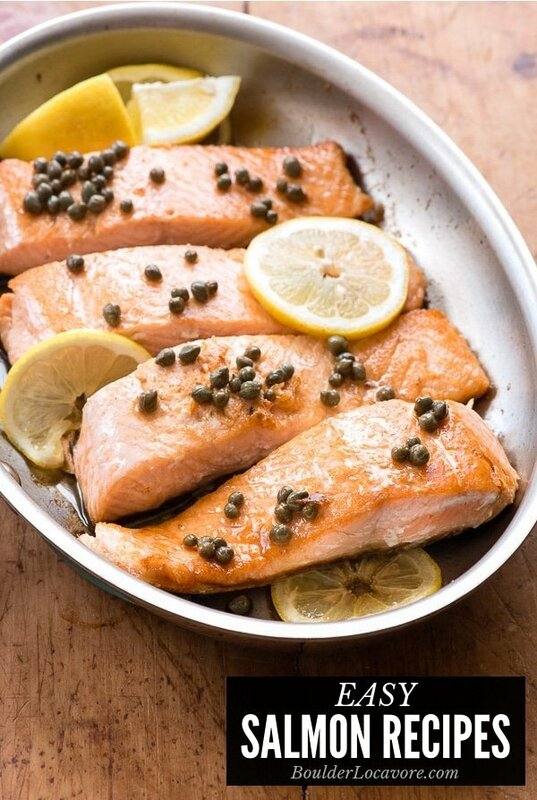 There are many easy salmon recipes for broiling salmon which are fast and easy. 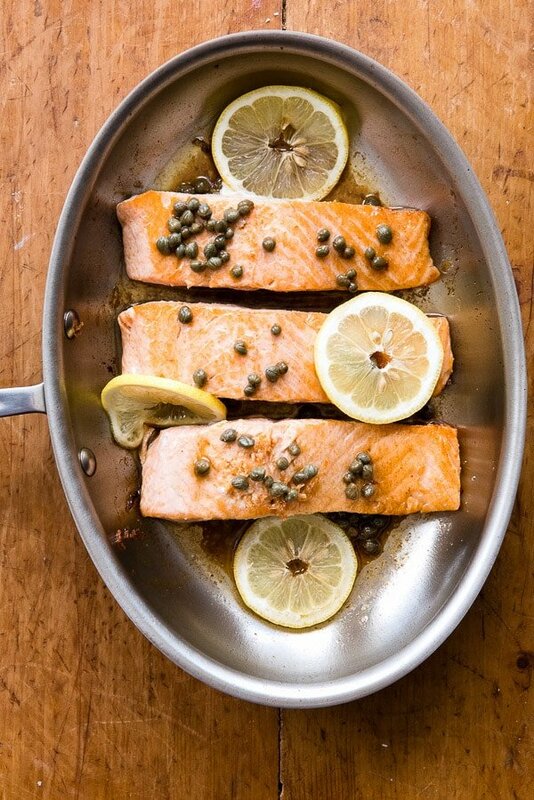 A one pan preparation, broiling is a fast higher heat way to cook salmon. 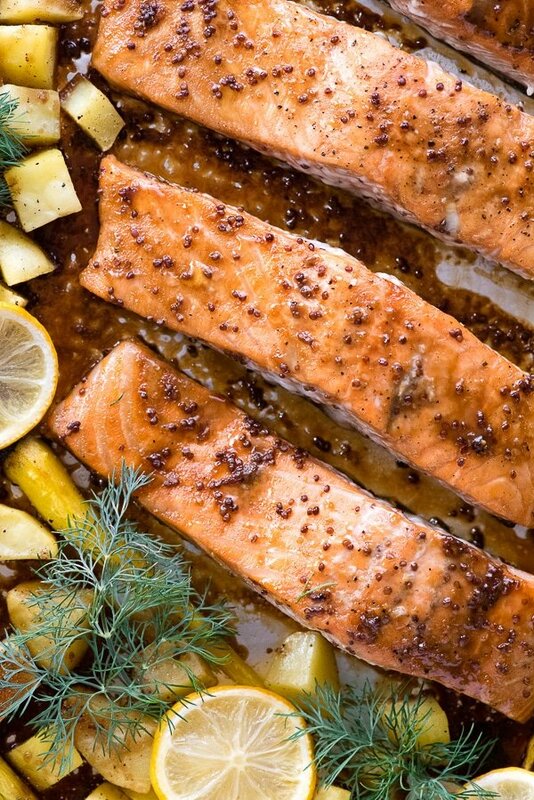 Broil salmon simply with just oil, salt and pepper or add a flavor-packed rub! Arguably the fastest and easiest way to cook salmon is in the microwave! Four minutes is all it takes when sealing the salmon before cooking. 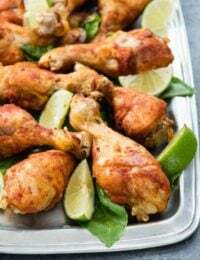 Air fryers are the latest cooking ‘rage’ and there are easy salmon recipes perfect for the air fryer too! What is YOUR favorite way to prepare salmon? Leave a comment below! Thanks for these great recipe. It’ a keeper! I love salmon, but am really the only one in my house who does. 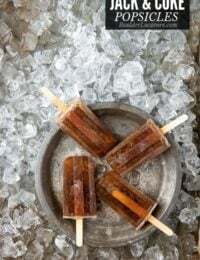 I would love to try making this sometime. I am pescatarian so I love new salmon dishes. I would like to make this in the near future for dinner. This is one salmon dish I must try! Cant wait! We make salmon at least once a eek or so, and the boys LOVE IT! 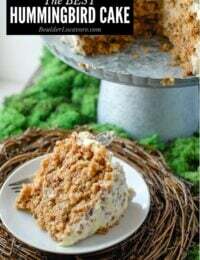 Thanks for sharing these easy recipes. Wow I never knew salmon is so rich in nutrients. Though I am a veg but I shall share your recipe with my friends. I know for sure this would be a huge hit in my house! This looks totally awesome! Such a fabulous dinner! 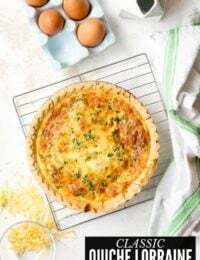 Love how easy to make this and it’s so delicious, can’t wait to try! I’ve been looking for ways to quickly cook Salmon so this is perfect for me! Loving these tips! I like your recipes for cooking salmon. as I love salmon. It is good to have those various delicious various recipes at my finger tips. I can never get enough salmon. Looks lovely. My husband sure does love his salmon but, I’m still newer to preparing it. This has helped me out quite a bit, thanks! 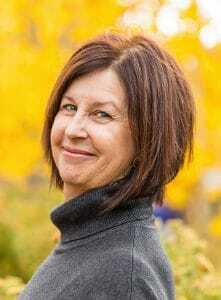 I love cooking with salmon; your recipes are great and your presentation is wonderful! I try to make Salmon every other week so this was very helpful! I bake it but I love new seasoning ideas.